We are all in need of a decent eco friendly bag for more than one reason. 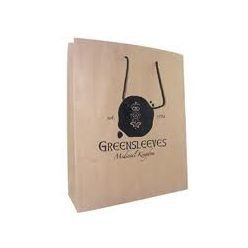 Eco friendly bags help us not only carry out products but also help the environment as well. If you are looking for an eco friendly bag, look no further as Giftwrap has to offer medium eco gift bag and the color medium carrier bag. The former is a medium recycled paper gift bag and the latter is a paper bag with string handles. It is available in vibrant colors and it is not just eco friendly but it has its full color branding done. Both bags are great for day to day use and for carrying your favorite items and that too with ease. Get one of the bags at Giftwrap and you won't be disappointed with the results. In addition, the bags can be used for a range of purposes, be it carrying it around when you are doing grocery shopping or any other shopping for that matter. The best thing is that both of them are affordable so you can easily get them in bulk.